Welcome to No Needle Knitting! After visiting lots and lots of loom and board knitting sites I finally decided to just start my own site about my new fun hobby. I’ve never tried to knit with needles so I figured this would be a good title: No Needle Knitting. 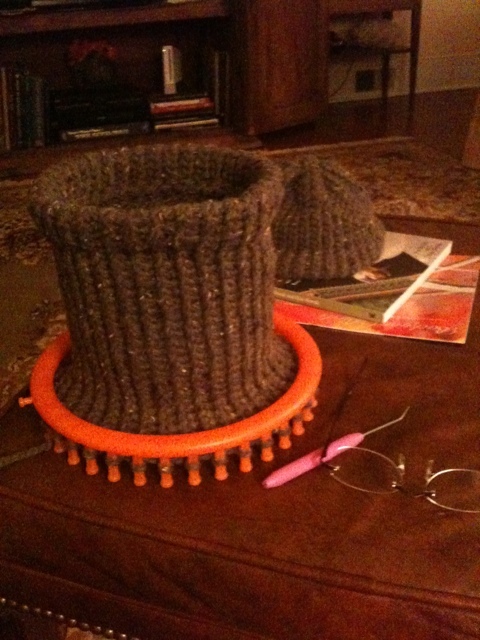 I plan to add photos of my knitting projects here with basic comments about each one. Please feel free to comment or ask questions! That is a pretty cool hat. I like it. I am going to show it to my grandson, Jacob. He loves learning how to do things and specially if he can see them online. I thought him how to crochet and he sold scarfs at school. He also makes wallets and purses out of tape. What a great idea! I’ll look forward to reading your posts. You’re inspiring me to be more creative. Thanks for the technical assistance you gave me.